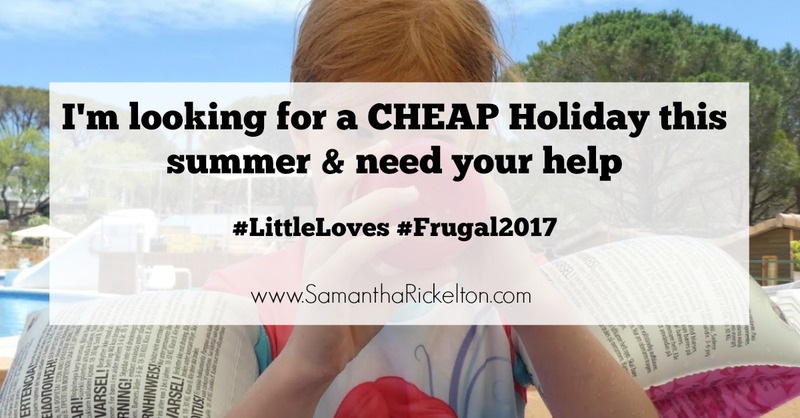 Frugal 2017 & Little Loves | Week 4 | I'm Looking for a Cheap Holiday - Can You Help? So I've decided to mix up my Frugal 2017 posts a little as they were becoming a bit samey. I'm going to join in with Coffee, Work, Sleep, Repeat's #LittleLoves instead and tell you a little about our week with a few of our frugal tips mixed in. As soon as I clicked on 'The High Street Abduction : How a Toddler was snatched from a High Street Store' I couldn't stop reading it. We were in Newcastle city centre at the time this happened and it's scary to think that it could have been Jack or Heidi that was taken. Northumbria Police were absolutely fantastic and this account of what happened really gripped (and shocked) me. I am so pleased the outcome was a good one. This week I watched Martin Money Saver and learned all about the best cards to take on holiday (it turns out that some pre-pay travel cards are actually pretty good) and found this really useful. I've also been addicted to Sherlock - I only started watching the new series this year but it gripped me so I've went back and watched it from the start. Love it! I also *finally* convinced Steve to watch Bad Moms Club and I have to say, it was a pretty good choice of film to watch snuggled on the sofa and made us laugh. At the weekend I went along to my friend Chloe's 80's themed party and we discovered the Now 80s channel. I LOVE the 80s and think the music back then is way better than it is now (do I sound old now). I decided to go retro and made a hedgehog with sausage, pickled onion, pineapple and cheese on cocktail sticks to take along to the party - it went down well and I think we should bring them back! 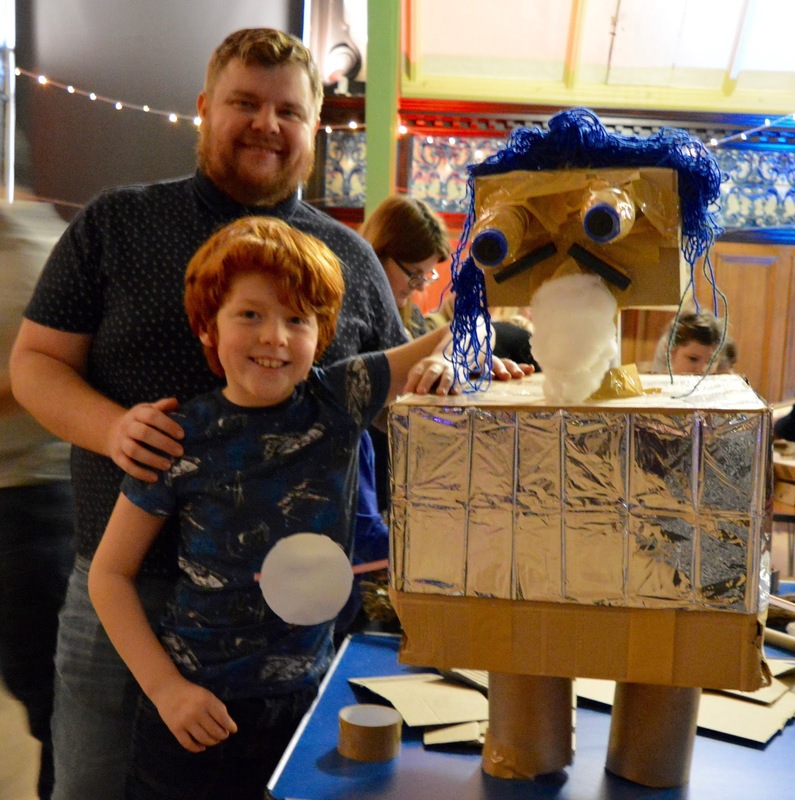 We also headed to the Discovery Museum last weekend and created our own Robot. What do you think of Rickel-bot? We love him. 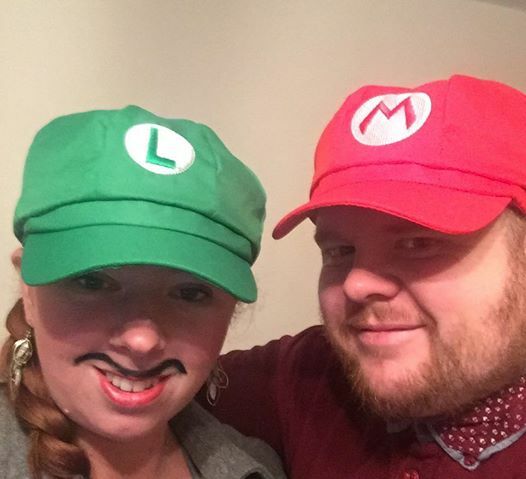 Check out our Mario and Luigi costume for Chloe's 80's party - this is the plus side of having kids - you can raid their dressing up boxes for such occasions! Frugal 2017 has been going well this week. I ordered a food shop from Iceland to stock up our freezer as it was looking bare. I used to be snobby about shopping at Iceland but I gave it a go and I'm now converted. They always have some fantastic offers and will deliver for free the following day. Always having something in the freezer as a back up means that I haven't been tempted to order a takeaway - 4 days to go and it will have been a full month! Steve has 2 weeks off in the school summer holidays and I've been trying to find a frugal getaway for us. I did think camping but most decent sites are £300-£400 for the week (for 5 with electric hook up) and I don't think this offers the best value. Glamping is looking at around £500-£600 for the week and our other option is a holiday cottage in the Welsh mountains - I've found some lovely ones for £500-£600. I know this is more expensive than camping but it might work out cheaper in the long run (esp if the weather isn't the best). Anyway, let me know if you have any frugal holiday ideas for the school holidays. I've just been reading that BBC new story - madness! So amazing how the police worked together to track the little girl down and so lucky that they found her! I was so engrossed in that article. I loved the way the BBC did it too, I think that's going to be the future of blogs. That article gave me goosebumps. Having worked for the police in the past, I'm all to aware of what goes on behind the scenes. Love the fancy dress. I say bring back the food hedgehogs from the 80s - they were always my favourite! Have a great weekend!